Welcome to another weekly recap, hosted by yours truly. Last week, we had some interesting things and releases, and I am going to review the most important ones here, one by one. 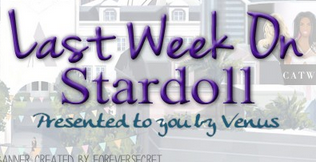 The week started with new Stardoll Pals collection. They gave us even more dolls for our suites, so they can help us make our suite rooms look more 'realistic'. We now have some dolls with different poses and some clothing items for our dolls. This time, also, we can chose body size of a mannequin to match our doll's so it can be easier for our pals to wear 'regular' clothes. We even have a Noelani doll, which I think is pretty awesome, as I really liked her weekly videos, and she seems like a nice person, and btw the cat she is holding, just aaw.. 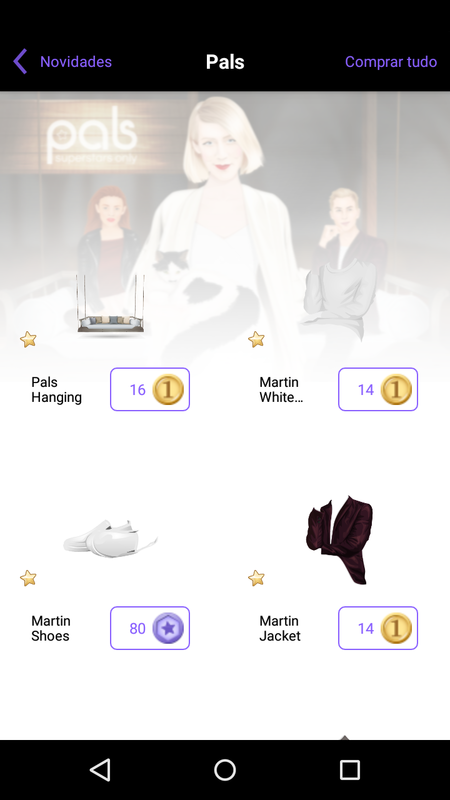 Anyway, I am not a huge fan of the app, as they removed some good options we had, like guestbook and catwalk, and it is not even working properly for me, overall, previous version was much better, so in case you still haven't updated it, no need to rush. 10sd and some gifts were nice incentive though, but still not worth it. On Tuesday, Stardoll finally announced MSW15 winner - it is Cobrarea9 and she comes from Greece. In the name of the whole USD team, we congratulate you. Seriously, your doll is gorgeous, and I am really glad Greece won this year, and also a dark haired doll. Anyway, the competition was ok, but honestly, I am really glad it is over - no more gb spam and begging for votes, and prices for broadcasts are back to 5sd. To all the others who did not make it to finals - better luck next year. On Wednesday, Stardoll released new collection, named "Pink Ribbon". Now I am really glad Stardoll is addressing this issue, as there are many girls young adults and women on this site and need to be aware of the illness and prevention of it. Now I think it would be silly talking about clothes released, - they are mostly pink, obv. I would suggest you instead checking the site www.pinkribbon.org and read more about this serious issue and get informed. Be safe, dolls. On Thursday, Stardoll announced 30% off leaving sale in Bod Mod sore, collection 'Inter Galactic'. You have only today to buy the stuff you want at a discount, as a new collection is coming as soon as tomorrow. Now this collection had some nice items, and my favorites are definitely light swords. (Huge Star Wars fan speaking.) I also loved wigs, but I am not into dressing my dolls in weird costumes. Well maybe vampires, but not astronauts, aliens and/or space warriors. I love they not just warned us, but also gave us a sale, so grab your favorites before it is too late. And on Friday, we got new Evil Panda collection. And that's it! I hope you enjoyed the week, see you soon, until then, vote, comment, and come back next Sunday to check another weekly recap.